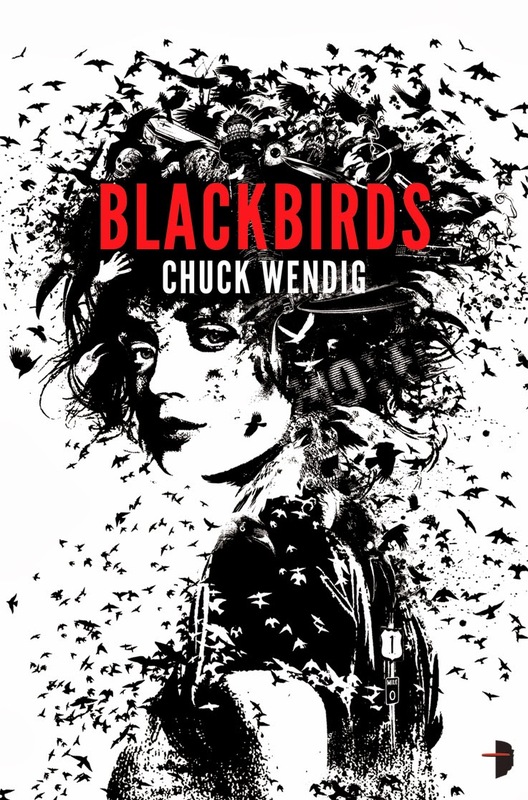 Angry Robot Books continues to print some of the more interesting fantasy/sci-fi out there, and Chuck Wendig's Miriam Black series is right there with some of the better ones I've read of late the last few years. The story of a woman who can see how you die, the third book in the series comes out tomorrow, and it continues being one of the better urban fantasy series available right now. 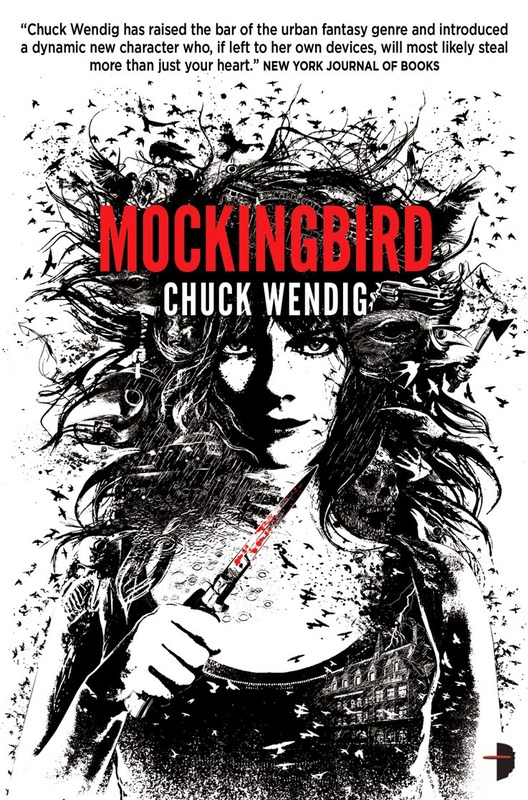 Immediately, Chuck Wendig shows us how he has created a great, fun character in Miriam black. She's brash and angry, she can fend for herself and then some. There's no damsel in distress here, she's more likely to fix the problems that she runs into instead of looking for a hero. The concept behind Miriam is not absolutely new, but it is interesting and is handled in a really compelling way. Wendig as an author may rely a little more on profanity and brutality than I would have preferred, but it generally works in the book as well. Given that Blackbirds was an enjoyable, violent, profane tale, it threw some unconventional curveballs and left me pretty satisfied. Thus my surprise when the second book landed in the Kindle Store, as I really thought the story was done and over with. The good news is that Miriam Black's story in Mockingbird is different and yet still interesting. In what is more a rote murder mystery story with significant urban fantasy elements, the story is still addictive and held my interest throughout. It's pulpy at times, but that's more than okay. It's a fun read, gives a little bit of an origin for Miriam, and offers a few consequences that may not have been expected after reading the first book. The downside to Mocklingbird is that the story does feel somewhat unessential at times. I'm not sure where else the story is necessarily supposed to go, but that's not always a bad thing even if it still hangs in the back of my head. Either way, I was still interested in what's coming next, so when I was able to grab an advance of Cormorant, I jumped at the opportunity. This is another gear-shift from the second book where we're seeing a lot of the results of the first two stories. In Cormorant, Miriam's kind of on the run following what happened in the second book. 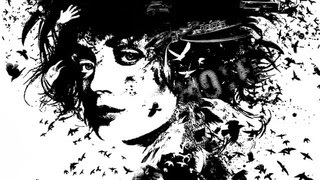 She's still getting the future of others, but, in a callback of sorts to Blackbirds, one person she touches is dead shortly after seeing Miriam's name spelled out in blood on the floor. Not only does someone know Miriam's secret power, but they're sending her a message through people about to die. This is new and interesting. The story moves along at a much better clip than the second book, which is welcome, and we've now moved past the "this story might not be necessary" part into something a lot more significant. Miriam's powers mean something to people, and she's playing defense not only for herself, but for other people now. It's a great shift for the series, and one that's making it a little more essential from volume to volume. The back of the book teases a fourth book on the way, and I'm officially excited for it. Wendig's created a neat little universe that's worth your attention, and the Miriam Black books are just light enough fare to be a fun read while having enough weight behind them to be worth your energy. 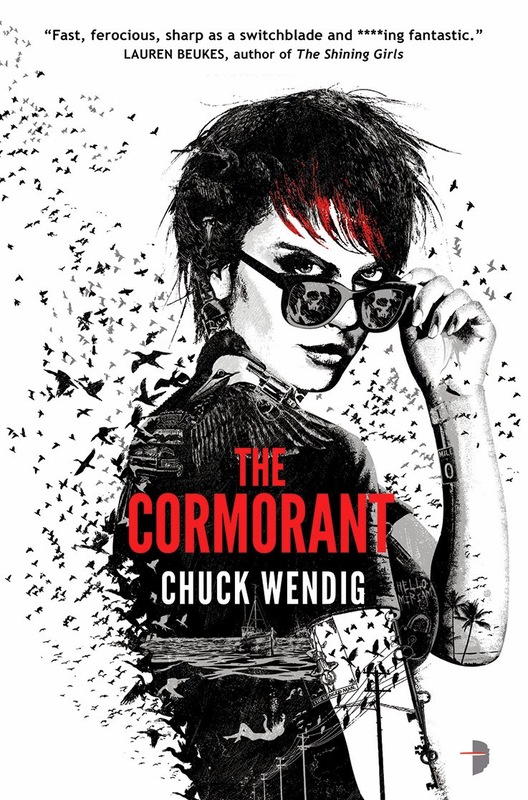 Cormorant comes out next week, and Wendig is offering Blackbirds for free through the end of 2013. You really have no excuse for not checking this one out if it's free, right? So check it out! A professional writer will ensure that your admission essay is written using international writing style, good college essays http://www.essaystate.com/college-essay it is correctly formatted, and it has the necessary content. Lego Star Wars Advent Calendar Day 22: Baby.